Chuson-ji Temple was built in the later half of the 11th century. It was meant to comfort the spirits of those who died in Tohoku area’s ongoing wars at the time. Its purpose was to create a Buddha Land, a sort of paradise in the Buddhist view, in the remote Tohoku region which was then called Michinoku. Currently, the only remaining building that still conveys Chuson-ji Temple’s original appearance is Kannado, which is praised as a piece of art. 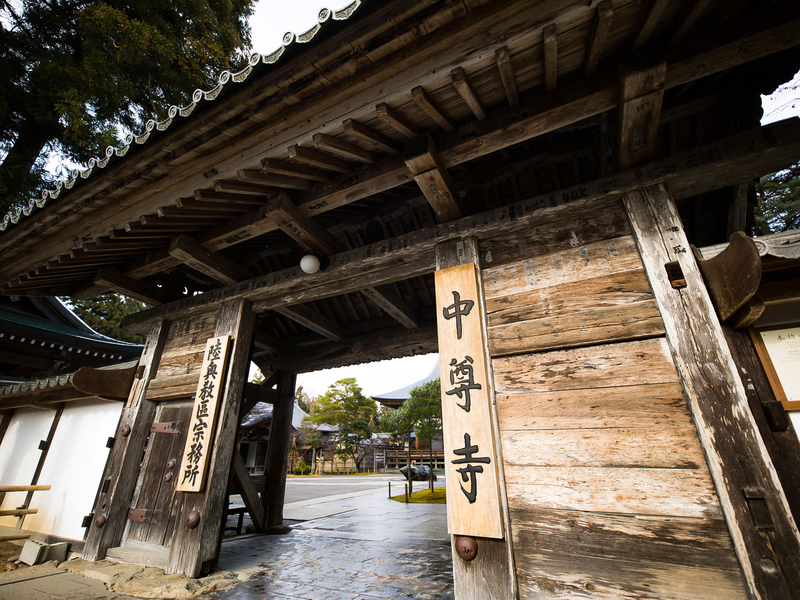 In 2011, “Hirazumi’s cultural heritage” which includes Chuson-ji Temple was registered as a World Heritage site.